I finished the star quilt yesterday. I think our quilt group has made around 65 quilts to send down to the Victorian bushfire survivors. The quilts will be going on wednesday. Just in time, as the weather is getting a lot cooler now. 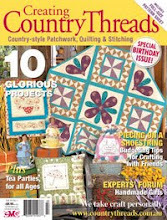 I learnt how to make this stack and slash star quilt at the Patchwork Angel. Look what arrived in my mailbox, all the way from Sweden. A parcel of goodies from Lynne. She was having a giveaway, and I was the lucky winner. 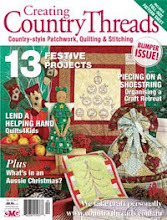 There were ribbons (one in the Swedish flag colours, the other featuring a traditional Swedish horse motif), a red and green hexagon pincushion, a handmade felt picture, a hanging heart, and some crocheted flower decorations. Lynne also made a gift card with a photo of her cottage on it; lovely. Thankyou so much! 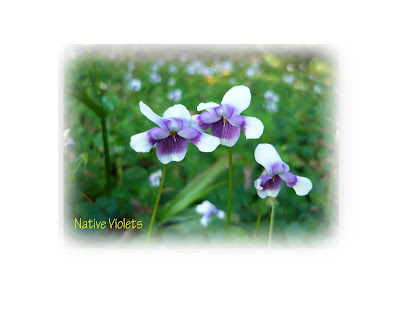 Here is a photo of some native violets, they grow everywhere in my garden. As you can probably tell, I am having a bit of a play with the photos today, using photoshop. (I have no idea how to use most of the features). So it will take a while to figure out. Last Friday, at the Brisbane Stitches & Craft show, I booked into Kristie's class to make a sock monkey. I got most of him(?) made at the class, then finished the sewing at home, so here he is. 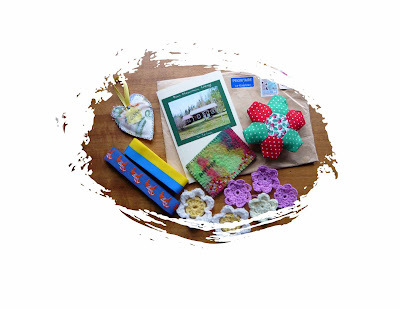 Kristie is now selling kits to make them, check out her website at Rourke & Henry and you too can make one. Over the weekend, hubby and I have started to put in some sleeper edging in front of the deck of our carriage (see background of this photo). We are going to plant a camellia hedge in front of it so you don't see the underneath bits. The camellias are the sasanqua variety and are in shades of pink and cream.